Exactly how big is it? like dimensions. i read it is 11mm thick, but i saw it in the shop and then measured it out and it didn't look as thick in real life.so exactly how big is it? can anyone help me out . 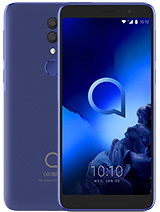 i'm thinking about getting a Lobster L621 for my birthday and really need to know if it is a good quality phone ..
if you caould help me that would be brilliant .. Anonymous, 21 Dec 2008Yeah right,did u using it or just talking?? ?I was did the testing for this units platform so i think i know what i am talking about. thank you J and cromp, got myself one from virgin, kept my same number paid £25 got £10 top up, 1000 free texts and extra £5 top up because they were gonna give me £5 zavvi voucher. brilliant deal for lovely little handset. Knight Rider, 15 Dec 2008I would beg to differ, Alcatel is known to have excellent signal strength and this phone is no... moreYeah right,did u using it or just talking??? gatur, 09 Dec 2008anybody know a stockist in the UK or even a stockist to deliver to UK? thank youAvaialable exclusively to Virgin Mobile in the UK, is branded as the Lobster 621. I would beg to differ, Alcatel is known to have excellent signal strength and this phone is no different. This phone has very good reception! 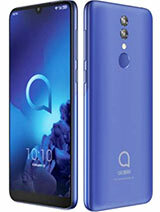 Call quality isn't at that level as Nokia,SE or Samsung but its Ok for this category of phones.As for signal reception, sometimes looses network for a short time(big buildings,underground places,elevators)but for a few secs.This is low budget phone so we can't except so much of it. So the phone is Ok.
-Nice display for 128x160 resolution. -Crappy camera compared with other 1.3MP phones. -Bluetooth connects with other phones/pc/laptop easy and its fast. -User interface is acceptable and fast. -Keypad is comfortable even if it doesn't look like on first site. -MP3 player sounds good and loud. -Battery life is very good, 3-5 days depends of usage. -1GB (trans flash) memory card works very well and its fast. 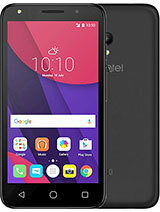 Overall it is a nice phone for people who wants low budget phones or beginners. 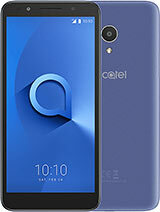 I will get this phone in monday as my secondary phone and i like the design because is similar to my primary Nokia N82.I get it for free from my provider.So will see how it is as i get my hands on. Thank you for the nice feedback Milo. 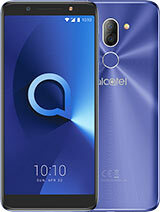 Simply excellent phone by Alcatel. 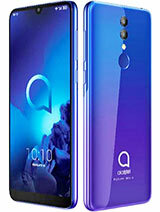 Very slim and compact, packed with mp3 player, micro SD slot, bluetooth and 1.3 megapixel camera, very good battery life, sturdy and nice designed. Uses one universal (mini USB) slot for charging, PC connection, even WEB CAM option and large memory storage, and USB headphones. 10/10.